Defending champions Rohan Bopanna and Jeevan Nedunchezhiyan will headline the main draw of the men's double event for the inaugural edition of the ATP 250 World Tour tournament, which is to be held from December 30 to January 6, 2018 at the Mhalunge Balewadi Stadium, Pune. The Maharashtra Open, which has replaced Chennai Open as India's only ATP World Tour event, will also see the 2017 edition's runners-up pair of Purav Raja and Divij Sharan playing with new partners in Leander Paes and American Scott Lipsky, respectively. 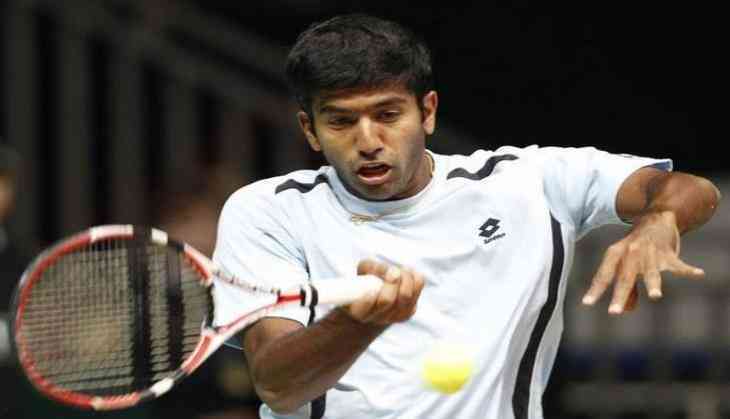 Bopanna, ranked 18 in the world, has won 17 doubles titles so far in his career. The 36-year-old claimed his maiden Grand Slam glory earlier this year, after winning the 2017 French Open Mixed Doubles with Gabriela Dabrowski. Until this victory, Jeevan had tasted just three doubles Challengers titles over the last two years. The duo will look to script similar success story this edition too but can certainly expect Raja-Sharan to avenge the final loss with their respective partners. Sharan has had a fairly good run this year with his third title when he won the ATP European Open with American Lipsky. The Paes-Raja pairing also have been consistent together bagging two ATP Challengers titles recently in Knoxville and then Champaign, Illinois. Interestingly, in the 2017 Chennai Open, Paes (with Andre Sa) lost to the pairing of Raja and Sharan in the first round. Paes, who has made 18 appearances at the Indian ATP event, won it first time in 1997 along with Mahesh Bhupathi. The pair defended their title in 1998, 1999, winning it in 2002 and then straight 2011. The last time Paes won the doubles title here was in 2012, this time with Janko Tipsarevic. Another top draw at the event among foreign pairs is Pierre-Hugues Herbert of France, currently ranked No.13 in the world, who will team-up with compatriot Jonathan Eysseric at the event. Herbert was instrumental in France's Davis Cup Final victory against Belgium where the 26-year-old lived up to the billing along with his doubles partner Richard Gasquet and teammate Jo-Wilfried Tsonga as they lifted the prestigious title ending 16 long years of wait in November this year. Dutchman Robin Haase, who recently made headlines when he put up a gritty show against legendary Roger Federer at the Rogers Cup clash, will partner country-mate Matwe Middelkoop, ranked No.36 in doubles. "It is an interesting mix of field in the Men's Doubles category at the Tata Open Maharashtra. We have stalwarts like Leander Paes and Rohan Bopanna who only seem to be getting better and better by each passing year. Sharan, Raja and Jeevan form a strong field of Indians at the event. In fact, we have Vishnu Vardhan and Sriram Balaji as alternates and if they make it, the field will have seven players from India. This bodes well for Indian tennis and the fans too. I wish the participants the very best in their quest to win the Doubles Title," expressed tournament director Prashant Sutar. Bopanna, on the other hand, expressed his excitement to play in front of Pune tennis aficionados. "I am really eagerly waiting for the first edition of Tata Open Maharashtra. My practice has been going on full swing and I am looking forward to play in Pune," stated the Coorg lad.